The lava flow out of the continuously erupting Kilauea Volcano is slowly advancing downslope toward the town of Pāhoa (population: ~1,000) on the Big Island. About 4,500 people could be affected by the lava flow in the coming days. 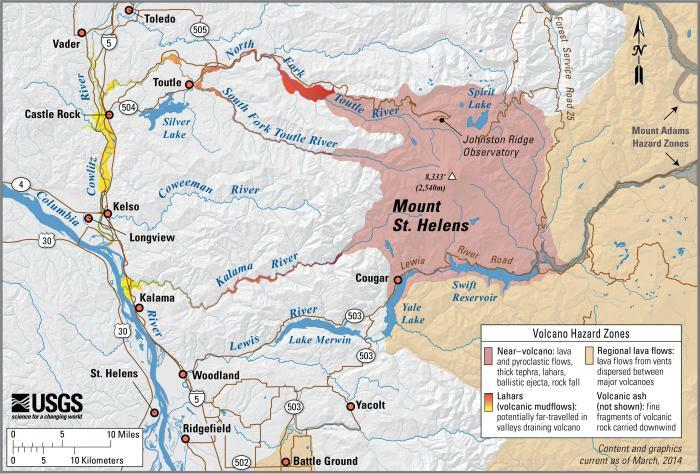 Volcanic Activity Summary: The June 27th flow remains active, with a narrow flow about 115 m (230 ft) wide moving downslope about 120 m/day (390 ft/day) since October 3. At the average rate of advancement of 120 m/day, the lava could reach Apa`a St. in about 16 days. The advance rate of the June 27th flow has varied significantly during the past month, meaning this projection is subject to change. HVO’s next overflight is scheduled for Wednesday, October 8. Recent Observations by HVO: The lava flow has continued to advance northeast since October 3 at about 120 m/day (390 ft/day). The leading edge is now about 1.7 km (1.1 mi) straight-line distance from Apa`a St. Hazard Analysis by HVO: The lava flow from the Pu‘u ‘Ō‘ō vent is active, and lava is being supplied to the flow front, which is slowly advancing downslope toward Pāhoa town, which is located in the Puna District of the County of Hawai`i. Puʻu ʻŌʻō Observations: There was little net change in ground tilt at Pu’u O’o over the past day. Glow was visible overnight above several outgassing openings in the crater floor. 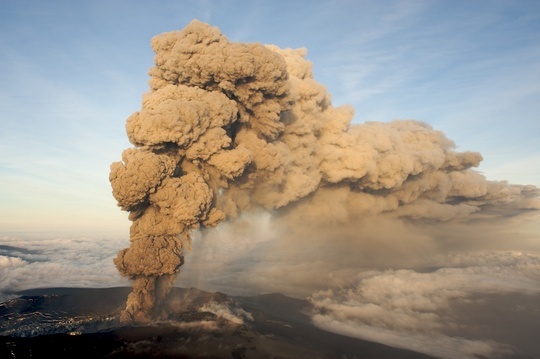 The most recent sulfur-dioxide emission-rate measurement for the East Rift Zone was 550 tonnes per day (from all sources) on September 25, 2014. Seismic tremor is low and constant. Summit Observations: Deflationary tilt at Kīlauea’s summit continues this morning along with a decrease in the lava lake level at the summit vent. There was no major change in seismicity on Kilauea over the past day; seismic tremor at the summit remained low and varied with changes in spattering on the surface of the lava lake. GPS receivers spanning the summit caldera recorded about 5 cm (2 in) of extension between early May and early July. Since then, little significant extension or contraction has occurred. 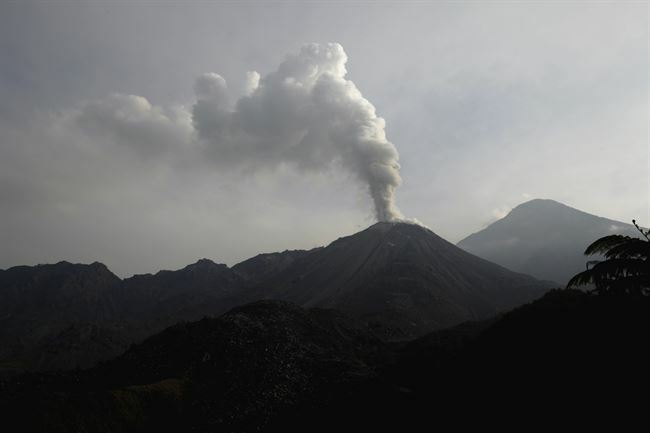 During the week ending on September 30, 2014, the elevated summit sulfur-dioxide emission rate was measured at 3,600–5,200 tonnes/day (see caveat below), and a small amount of particulate material was carried aloft by the plume. Original Caption Released with Image: The active volcano Sakura-Jima on the island of Kyushu, Japan is shown in the center of this radar image. 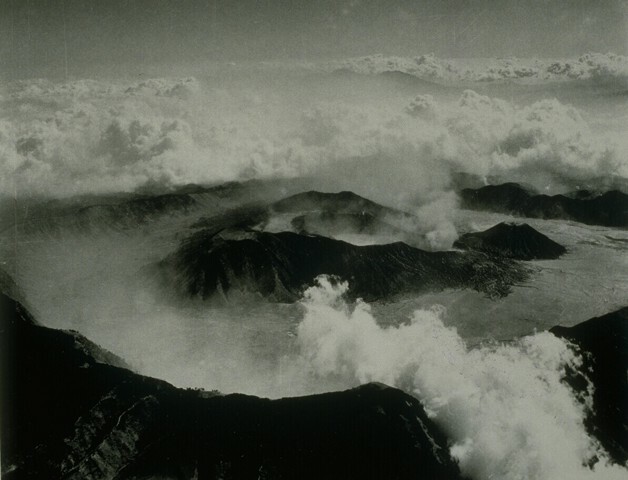 The volcano occupies the peninsula in the center of Kagoshima Bay, which was formed by the explosion and collapse of an ancient predecessor of today’s volcano. 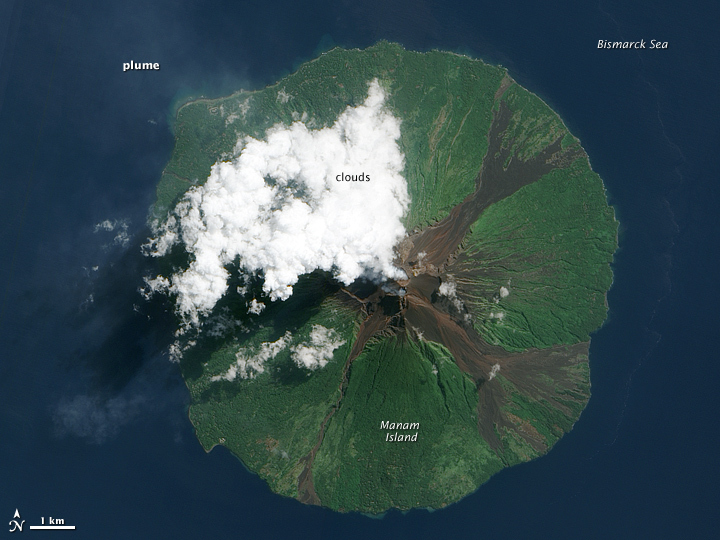 The volcano has been in near continuous eruption since 1955. 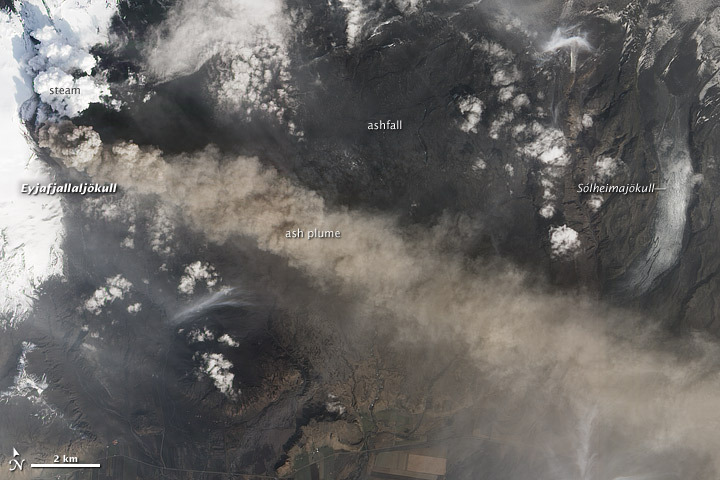 Its explosions of ash and gas are closely monitored by local authorities due to the proximity of the city of Kagoshima across a narrow strait from the volcano’s center, shown below and to the left of the central peninsula in this image. City residents have grown accustomed to clearing ash deposits from sidewalks, cars and buildings following Sakura-jima’s eruptions. 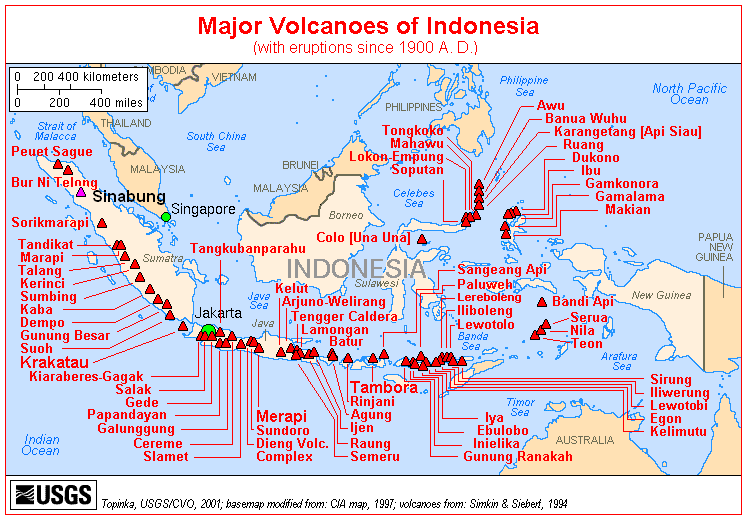 The volcano is one of 15 identified by scientists as potentially hazardous to local populations, as part of the international “Decade Volcano” program. The image was acquired by the Spaceborne Imaging Radar-C/X-Band Synthetic Aperture Radar (SIR-C/X-SAR) onboard the space shuttle Endeavour on October 9, 1994. SIR-C/X-SAR, a joint mission of the German, Italian and the United States space agencies, is part of NASA’s Mission to Planet Earth. The image is centered at 31.6 degrees North latitude and 130.6 degrees East longitude. North is toward the upper left. 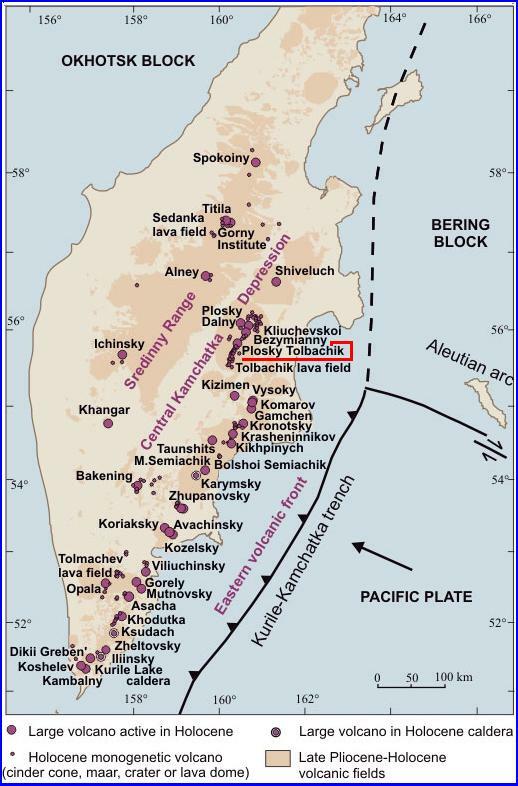 The area shown measures 37.5 kilometers by 46.5 kilometers (23.3 miles by 28.8 miles). The colors in the image are assigned to different frequencies and polarizations of the radar as follows: red is L-band vertically transmitted, vertically received; green is the average of L-band vertically transmitted, vertically received and C-band vertically transmitted, vertically received; blue is C-band vertically transmitted, vertically received. 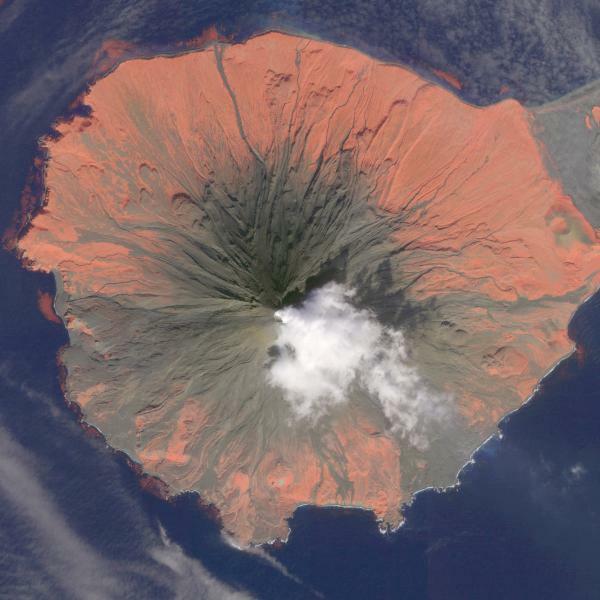 There’s no such thing as an extinct volcano; some volcanoes sleep a little longer! 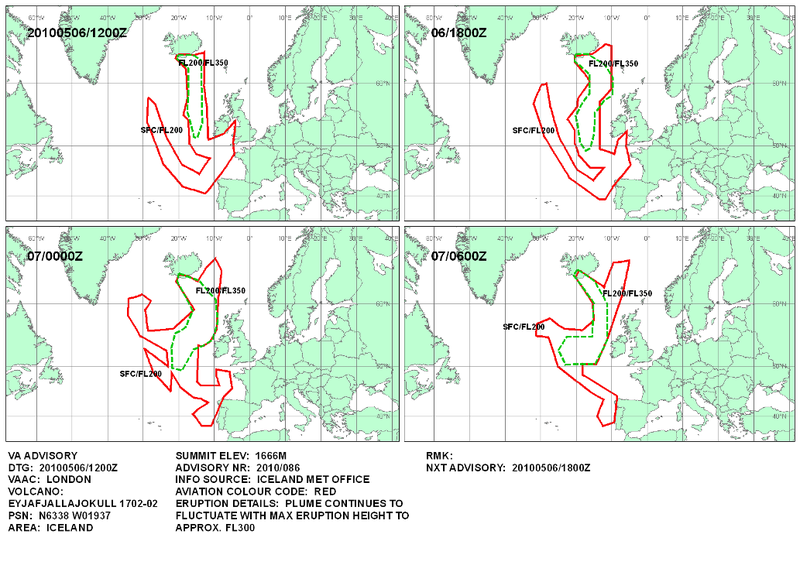 Eyjafjallajökull eruption continues unabated, Icelandic Met Office (IMO) said. The ash plume reduced slightly and changed direction heading ESE. 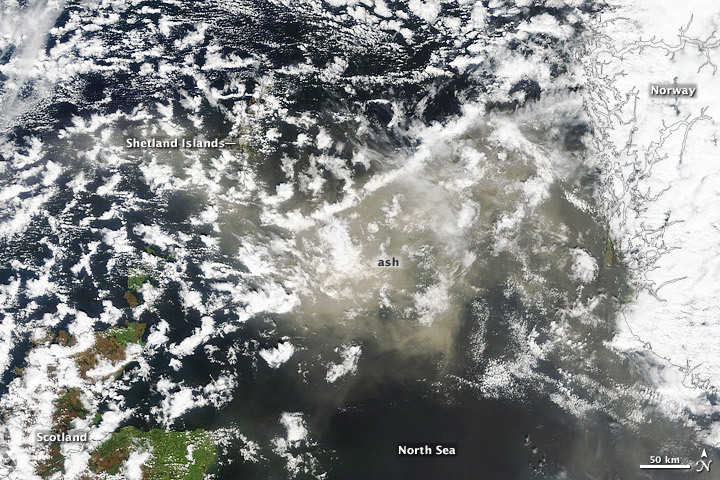 The ash cloud has wreaked havoc in parts of southern Europe, disrupting flights in as far south as Portugal, Spain and Morocco in recent days, according to media reports. 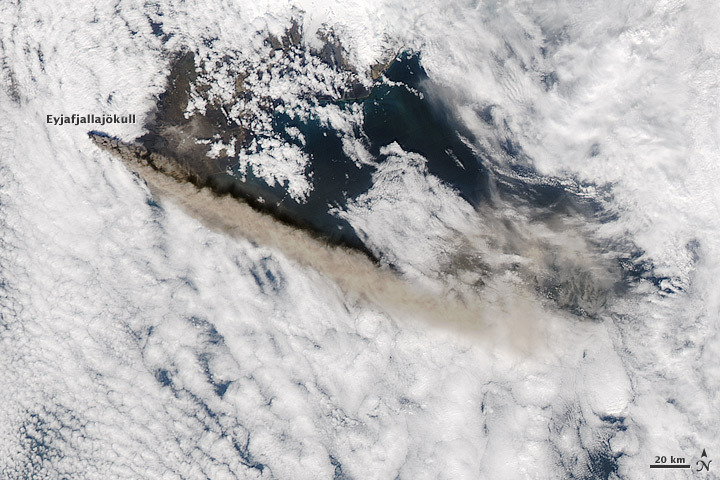 Reaching a height of four to 5 kilometers (13,000-17,000 feet), the plume of ash from Iceland’s Eyjafjallajökull volcano rises above a sea of clouds in this image. 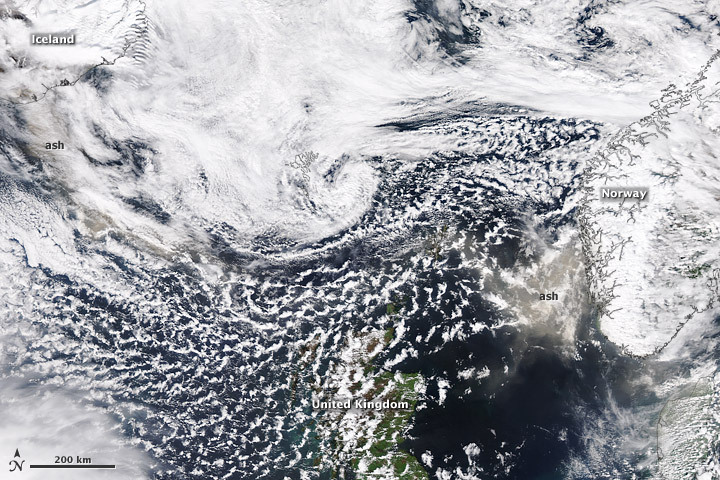 MODIS on NASA’s Aqua satellite captured the image on May 12, 2010. Source: NASA E/O [Caption edited for brevity.] Download large image (1003 KB, JPEG). Click image to enlarge. The above photo was taken by Ólafur Sigurjónsson on May 7 at 21:00 local time. 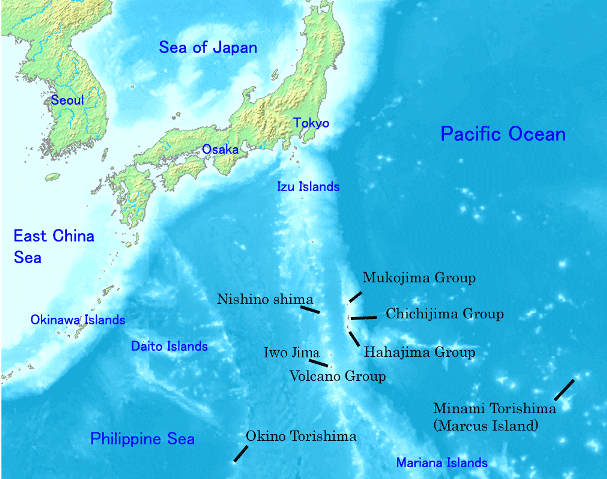 Image published by IMO. Read full story here. Click image to enlarge. Earlier photos by Ólafur Sigurjónsson, who lives in Forsæti near the eruption site. 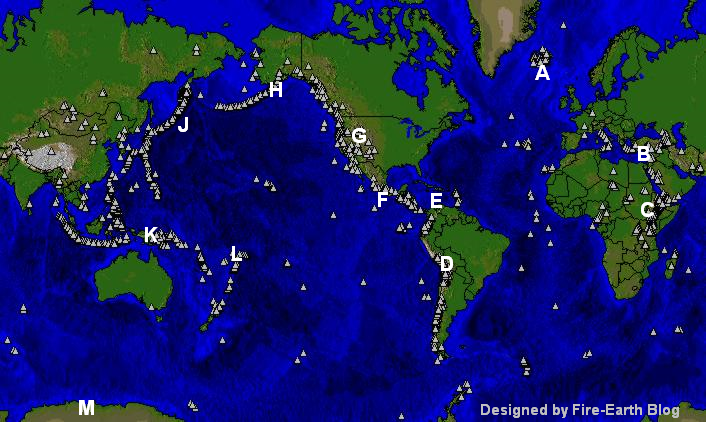 2010 Year of Super Volcanoes? Serial No 1,718. Starting April 2010, each entry on this blog has a unique serial number. If any of the numbers are missing, it may mean that the corresponding entry has been blocked by Google/the authorities in your country. Please drop us a line if you detect any anomaly/missing number(s).